An Iranian journalist, Akbar Ganji, is dying in Iran. Because of the articles he wrote in the early 1990s, and because he participated in a conference in Berlin where the Islamic regime of Iran was mildly criticized, he was sentenced to six years in prison. He has completed nearly all but six months of his sentence, but because of constant ill-treatment by officials of the judiciary he has gone on a hunger strike. This has lasted for more almost 60 days, and during this period the not-very-forceful condemnations by various international organizations have only met with a snide response from the Islamic judiciary. A few days ago, my friends, a bunch of middle-aged expatriate Iranian-American intellectuals with various leftist background, and I were thinking about contacting some progressive organizations here in the US and initiating a strong protest in order to at least put our anger on record. But after many hours of discussion, we came to realize something that we had felt for a long time: It seems that there is no place for our voices in the American if not Western Leftist discourse. For years — since before the 1979 Revolution in Iran — we considered ourselves part of an international progressive discourse whose defining elements included issues of democratic movements in countries such as Iran. However, we have had a growing sense that, in this new era of “New World Order”, the international Liberal/Leftist discourse has left us out. And here is what I think is the underlying reason: this discourse is now defining itself simply as Anti-Conservative discourse, nothing more. And simplistic Anti-Conservatism is incapable of addressing real issues of democratic movements in Iran (and, I believe, many other countries in the region). Let me give you some examples to clarify my point. I start with the current war in Iraq. We believe that the Bush Administration&apos;s justifications for war were quite baseless and shameless yet we believe it is ridiculous to deny that, for example, in Iraqi Kurdistan we are witnessing the formation of one of the best examples of democracy in the region. Indeed, this has been the reason behind questions such as the following: Can we use American power to promote democracy in the region? Nobody is suggesting that the answer is yes but dismissing that question out of hand is not going to work either. For those of us whose friends and relations are dying in the prisons of the Islamic regime, this question is indicative of the desire to change their situation even if it means relying on such a conservative force and ideology as represented by the current American administration. But the reaction of the Liberal/Leftist discourse to this concern has simply been sneering and stock answers such as “You cannot impose democracy”, “Force cannot bring freedom”, and so on. Let us think of another example. We believe that the arguments of the current American administration that Iran should not have access to nuclear technology are ridiculous because these arguments, 1) disregard the fact that according to the NPT (nuclear Non-Proliferation Treaty), signatories are entitled to have access to such technologies and 2) represent a kind of double standard. For example, the American administration does nothing about Israel&apos;s nuclear arsenal, but it insists on preventing Iran from developing even the technology. We understand this. But at the same time we believe those who think the current government of Iran is not pursuing the acquisition of nuclear weapons are total idiots. So, here is the question: should we be concerned with the double standards of Conservatives, or should we think about the fact that no matter how you look at it, it is a terrible idea to let the current regime in Iran lay its hands on nuclear weapons? It seems that according to the current Leftist discourse, this is not the important question. They just keep trying to point out the inconsistencies in Conservatives&apos; arguments. What will become of Iranians and many others in the region if the Islamic regime does end up possessing nuclear weapons is of no importance to them. Let me give you the latest example. The recent presidential election in Iran was a joke. The position of the Conservative discourse was announced through the current US administration, which called this election undemocratic, rigged, ridiculous. Once again it is obvious that they were not necessarily concerned about democracy in Iran and had other ulterior, transparent reasons. The Leftist discourse, thinking that American Conservatives might use this occasion to justify their possible aggression against Iran, reminded Conservatives that recent presidential elections in the US have not been problem-free either. And here lies the difficulty. We agree that there have been and are many problems with the elections in the US, but we also believe it is either ludicrous or disingenuous to compare them to Iranian elections. I do not want to get into details of differences between the two, but suffice it to say that here in the US, the election to all public offices as a democratic phenomenon is supported through numerous social institutions, while in Iran this fundamental democratic requirement is undermined by undemocratic institutions such as the ruling Sharia laws which define the main source of legitimacy of the most important public offices as the religious authorities, not the people. So once again here is our dilemma: We believe the Leftist discourse is correct in pointing out the inconsistencies of the Conservatives&apos; position, but this does not help us at all because it does not address our main concern, namely the deterioration of the situation of Iranian people with regard to fundamental freedoms. Now let me suggest an academic dimension to this discussion which could explain another important aspect of our voicelessness, and the irony that there are occasions when these two supposedly different discourses act in unison. Postmodernism began with the claim that the era of grand narratives had come to an end and that consequently the time had come to pay attention to the uniqueness of different cultures and their multiple voices. For different reasons, which need another place to be discussed, the glad tidings of postmodernism did not lead to the allocation of energy and resources to these cultures and voices. The same pre-postmodern clichés were repeated but this time the only effort made to legitimize them was to propagate respect for and/or tolerance of other cultures. By making no effort to recognize the real and legitimate voices of different cultures, the propaganda produced by officials of regimes such as the Islamic Republic, has come to be accepted as the legitimate voices of these cultures. And the funny thing is that scholars then try to theorize about and explain these cultural traits. Take for example the issue of Hejab (Islamic covering for women) in Iran. 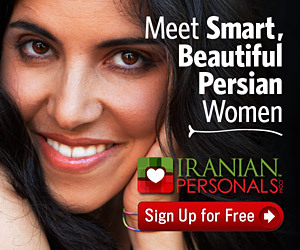 Everybody knows that it was imposed on Iranian women after the 1979 Revolution. To this very day, the Islamic regime has to use force to persuade Iranian women to conform to their culture! Officials of the Islamic regime are never challenged when they refer to Hejab as a cultural phenomenon, and what is worse, scholars then try to theorize about this exotic phenomenon. I should add that such “scholarly” works are not limited to non-Iranians. In fact a number of Iranian “scholars”, having emphasized their Iranianness; by thus claiming a special knowledge of the culture, they have functioned as the native elements of these discourses in the hope of pursuing the easy path to academic success. A consideration of this academic phenomenon suggests a rather comic situation: on the one hand the majority of scholars in academic institutions are trying to present a radical face; on the other hand, on many occasions they reinforce the most reactionary images of cultures of which they had intended to present self-sustaining definitions. Having taught in a few major institutions of higher learning for more than fifteen years, I have seen such examples many times. Other than that, the idea that different cultures and their voices should be automatically respected or tolerated has had further terrible consequences. We all remember Salman Rushdie&apos;s case. The shameless fatwa by Khomeini should have provided sufficient cause for any Liberal/Radical/Leftist discourse to pressure the governments of every single democratic society to take the strongest position against the Islamic regime of Iran. But instead, this fatwa was simply criticized, condemned, and accepted, and at the same time discussions were held about the sensitive nature of faith issues! Ironically enough, since Conservatives (specifically, the European ones) were protecting their capitalist constituents, they did not have any specific reason to advocate a strong position against the Islamic regime either. When translators of The Satanic Verses were attacked and killed, the same “tolerance” and “respect” continued. What was academic/Leftist discourse supposed to do, one might ask. I believe they were supposed to stop hiding behind worn-out ideas and talking points such as “being tolerant towards different cultures”, “respecting religious sensitivities of different faiths”. . . and actually examine the textual-ideological roots of such acts of brutality. This did not happen in academic environments because frankly, the academic/Leftist discourse is so gutless that it has no desire to accept the consequences of facing stupid, self-serving &apos;postmodern&apos; maxims (such as: “Faith-based ideologies should not be criticized because they represent different cultures”) which were developed by academics to spare themselves any theoretical confrontation which might actually require a minimum of backbone. Therefore what we see in these academic environments, even when faced with events such as the mass murders of 9/11 or the massacre of political prisoners in the summer of 1988 in Iran, is the sheepish repetition of clichés such as “this is not true Islam”, “Islam is the religion of peace”, … Nobody gives enough of a damn to actually examine these statements. At least in Iran, every time Islam has been in power peace and freedom have disappeared and oppression has emerged. The Rushdie&apos;s case is only one example which simultaneously demonstrated the tolerance of the Left for such inhumane treatment and the unwillingness of the Right to act decisively. When the translators of The Satanic Verses were attacked and even killed, the reaction was no stronger. When many instances of trampling on the most basic rights of Iranian people occurred, again the reaction was imperceptible. After the killing of the Iranian-Canadian journalist, Zahra Kazemi, in the notorious Evin prison, not one single serious effort was made to force the Canadian government to rethink its relationship with Iran. And there are many, many similar examples of such atrocities which have been overlooked. Even when they have been instigated in Western countries by agents of the Islamic regime, they have led to no meaningful reaction. One needs only think about the killing of the opposition figures especially in Germany (1992) (2) which led to a ruling by a German court that implicated a number of public officials in the Islamic regime. Yet today Germany is one of the main economic partners of Iran; only recently the leaders of the Green Party asked the Iranian ambassador to convey their message to Iranian officials concerning Akbar Ganji. This is the full and entire extent of their efforts! I should add that, in my opinion, this “tolerance” has led to a belief among many Moslems that it is their right to attack and kill whatever and whoever they think acts against their sacred beliefs. Indeed, this is one of the reasons why I am publishing this piece under a pen name because nobody knows what may happen if I argue that the main text of Islam, the Qoran, and its history and the teachings of its prophet need to be examined to see whether or not violence, injustice, inequality and intolerance are integral parts of this religion. In any case, here once again is the situation. When we were thinking about contacting organizations or newspapers to do something for Akbar Ganji, of the two major discourses, we automatically thought about the Liberal/Leftist discourse. But very soon we realized that this discourse has been reduced to a tame criticism of the Conservative discourse. We further realized that this so-called Leftist discourse has become totally enmeshed with an academic version of spinelessness that continues to regurgitate benign clichés whose sole purpose is to protect the undeserved perks of the members of academia. That is why this discourse is not even thinking about tackling taboos. The result was clear. We expected the Liberal/Leftist discourse to provide our voice with a space, but it seems that they are busy organizing events about globalization, ozone layer, and similar matters. These are of course all very worthy causes, but it seems they are also carefully-selected issues which do not require any fundamental theoretical battle which could possibly break the shameful ceasefire between the Liberal/Leftist discourse and the worst forms of intolerance and despotism. Conversely, and surprisingly, we came to realize that on several occasions the Conservative discourse is addressing some of our concerns, albeit for different reasons and not strategically. This is probably one of the main reasons which account for the recent popularity in Iran of US Middle East policies. According to anecdotal statistics (3) many Iranians wouldn&apos;t mind if something similar to what happened in Iraq would happen in Iran. This should be a very loud wake-up call for the Liberal/Leftist discourse. Let me make this threat even more clear and even more frightening: If the Left/Liberal discourse does not address the concerns of Iranian movements for justice, democracy and freedom, it is very likely that these movements will be attracted, at least for tactical purposes, towards policies offered by Conservatives. And this does not appear to be a temporary situation. In fact, Akbar Ganji may well die one of these days, but even if he is saved, there will be others like him in the near future, and as long as our “natural allies” pay no attention to such events, we will witness the strengthening of the Conservative discourse in our midst. The author is an associate professor at an institution of higher education in the U.S. Naheed Rasa is a pen name picked by iranian.com. 1) I can think of many other examples of statements made by the officials of the Islamic regime which are totally baseless and are never challenged. For example, when Iranian delegations travel to other countries, they do not shake hands with women, and they explain this as consistent with the position of women in Iranian culture. And of course no one attempts to challenge them and to remind them that it has only been under Islam that women have been forced into this position. Before Islam there were women who actually ran the whole empire but now they cannot even run for presidency. 2) In 1992 four Iranians who were among leaders of the opposition were killed at the Mykonos Restaurant in Germany. The German court concluded that the Iranian government was behind this act and thus engaging in state terrorism. The German government ceased to hold any dialogues with the Islamic regime for only one year; after that, relations between the two governments were resumed. 3) Those are the only kind of statistics we can find in Iran. The last scientific poll in Tehran showed that the majority of people want Iran to have a better relationship with the US. Soon after the results of the poll were published, the pollsters were arrested; they are still serving time in prison. One of them, Dr. Qazian, has recently written a long letter describing how he has been tortured during investigations. Since this event, the only polls one finds in Iran are those commissioned by the government and carried out by their agents.